Utilizing innovative induction technology combined with a Lithium Ion battery, the dreamGEAR Power Base Quad offer an effortless charging solution that simply requires users to place the remote onto the power base. 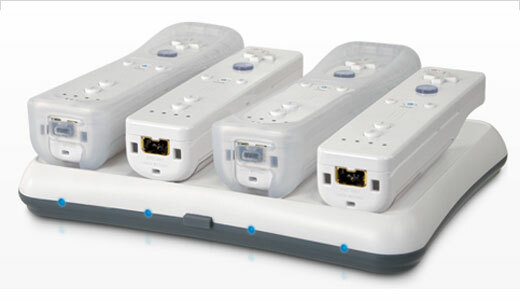 The Power Bases Quad allow up to four Wii remotes to charge simultaneously. The remotes fit snuggly into the Power Bases eliminating the mess of tangled cables.